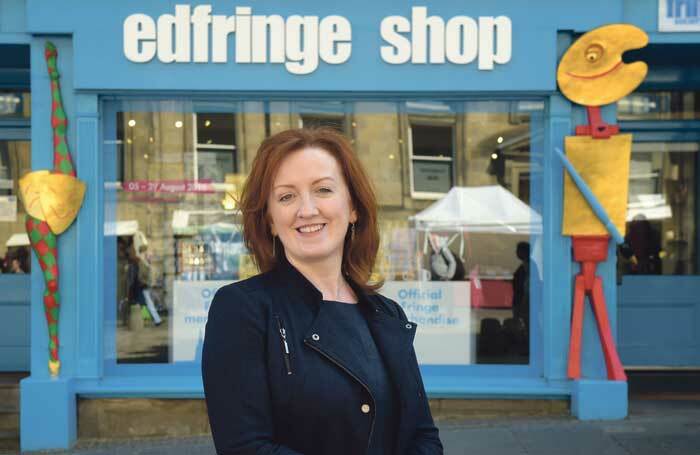 There is a reassuring tenacity to Shona McCarthy, the recently appointed chief executive of the Edinburgh Festival Fringe Society – the organisation that oversees the Edinburgh Fringe. Having taken over the post in March this year, her first interviews with the press were canny affairs. One-to-one and carried out on carefully chosen, neutral ground, she spoke extensively about her attitude to the post, but revealed little about what she would actually do. Despite intense pressure, she refused to get down into the specifics at such an early stage. She had no big plans to flag up. That had been for her predecessor, Kath Mainland, who had given the organisation some much needed stability after taking over in 2009, nurturing the fringe out of the bruising ticketing fiasco of the previous summer. On the surface, her agenda was so on-mission that it felt almost trivial. It was about the performers and participants, the relevance of the fringe to Edinburgh and how it can work with the creative learning agenda. Issues that are so obvious as to be ingrained in the fabric of the fringe. Meeting McCarthy in her office, now she has got her feet properly under the table, and there is much more to find out about the woman from a townland in County Down so small you’d be hard-pressed to find it on Google Maps. Her ideas are, it turns out, pretty big. It is just that they are not extravagant or shouty. And they are rooted deeply in a sense of social justice, forged over a life in Northern Ireland, running projects that do not just have to justify themselves to local politicians, but to both sides of a bitterly divided community. 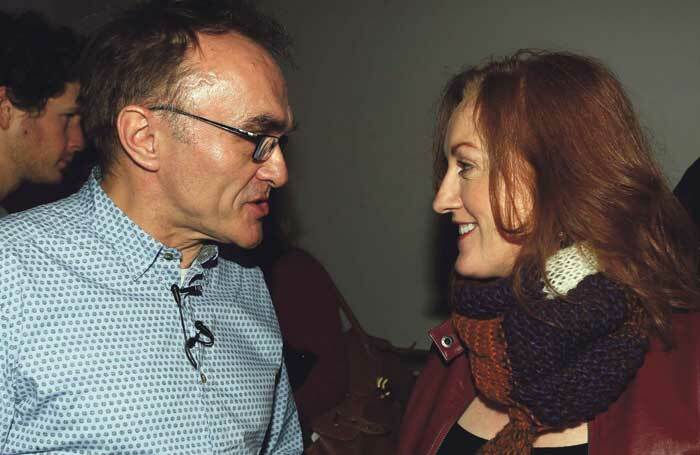 Her work culminated in her leading the Derry/Londonderry City of Culture year in 2013. “I was born in 1968 in Northern Ireland, which was the year the Troubles started – it wasn’t my fault!” she jokes, adding a characteristic levity to what are often very serious issues. However, the Troubles – the clash of Catholic and Protestant, when a call for human rights swiftly descended into serious civil conflict with the IRA on one side and the British Army on the other – do frame both her childhood and her career. McCarthy’s dad was a bricklayer, her mum a housewife, and, as part of a family of four boys and four girls, she was the only one to go to university. That, she says, was when the world opened up to her. Her best friend whom she shared a flat with was from Nigeria, her first boyfriend was Ghanaian and she went from a staple diet of meat and two veg to yam, plantain, corned-beef hash and rice. A year with a theatre in education company touring shows tailored to the A-level syllabus followed, then six months as a trainee journalist on the Ulster Tatler, writing about ladies’ clothing and weddings – “for somebody who has never got married, it was only the most wrong place I could have ever been as a trainee journalist” – she lucked in to a post with the Belfast-based magazine Fortnight. Luck, because while the disorganised bunch of “nerdy academic men”, as she describes them, were delighted when she came in with her organisational skills, the Northern Ireland film council set up downstairs. And it was from this organisation, which was beginning to promote film as an art form for the first time, that she got her first job, programming its flagship project: a children’s film festival called Cinemagic. “It was the first time that life properly made sense to me,” she says. “It gave me an opportunity to address all of the things that I felt were missing out of my growing-up experience. “This became a platform for me to be able to bring the world to young people in Northern Ireland without them having to travel. Every year, we were programming these films from all over the world. We brought directors, cinematographers and screenwriters and it just became this amazing thing in Belfast. Cinemagic has just celebrated its 25th anniversary, but its growth did not come easily. To the cinema industry insiders, it quickly played its part in their aims of vitalising the industry, and could be discarded. But McCarthy saw it still had plenty of opportunities for young people to offer. She hooked up with Derry-based Nerve Centre and took on its Foyle Film Festival, in return for its help in setting up Cinemagic as an independent charity. She left Cinemagic in 2001 and went on to run Imagine Belfast, the city’s bid to be European Capital of Culture 2008. Here, she was inventing an organisation for a city council that had never done anything like it before – not just setting up a team from scratch, but working out how a city could have a conversation with itself about its cultural heritage. What was your first job? 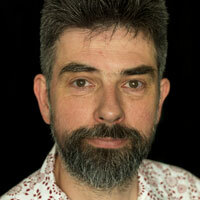 Programmer of Cinemagic International Film Festival for Young People. After leaving university, I spent a year on a job-training programme with a theatre in education company, followed by a six-month apprenticeship with the Ulster Tatler magazine. What is your next job? As custodian of the Edinburgh Festival Fringe Society, to ensure that the fringe continues to be an incredible platform for artists at all career stages, an inspiring place for audiences to engage with art, a centre for European and international exchange of learning, ideas and innovation through art – and stays true to its founding principles of open access. What do you wish someone had told you when you were starting out? “Never ever let anyone undermine what you do. Public engagement, participation and enjoyment of the arts is not peripheral, it’s not a luxury, it’s vital, central, human.” I wish someone had backed me in this conviction from the get go. Who or what was your biggest influence? Muhammad Ali, because he brought poetry, art, beauty and dance into a fairly brutal sport, and I admire people who are prepared to give up so much in order to stand up for something that is not a popular position, but a human one. He was beautiful. I am enormously influenced by driven peers who strive to take their practice to new levels and reach. I look at them with admiration, envy and a desire to make what I do as good as what they are doing and better. They are the people from whom I learn most every day. An inspiring teacher who remembers that young people need their belief can make a definitive, positive impact on young lives. I was lucky. If you hadn’t been an arts administrator, what would you have been? A performer or artist at the practice end rather than the coordinating end. But if I get another shot, I’d like to be a bird next time. It was a conversation not everyone was willing to have just two years into the peace process. On the day the jury came to look at the city and to consider the bid, there were two bomb scares in front of the jury bus. 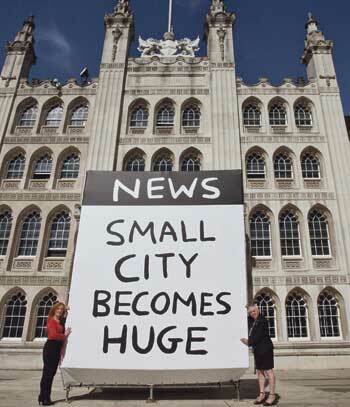 Guiding the 2013 Derry/Londonderry City of Culture year was a delicate task. It was the first UK City of Culture, and even the title was politically challenging in a divided city with a population that would see themselves predominantly as an Irish nationalist community. Such were the distractions to be quickly overcome, so she could get down to the real challenge of what she saw her role as. The whole force of her programming was to create a cultural programme that refused to go down the traditional Orange or Green trajectories, but still attempted to bring their cultural reference points into play. Instead, when she went to talk to the Orange Order, she talked about musicianship, about getting the thousands of young people who regularly took part in Orange parades to play music with artists such as dancer Hofesh Shechter or composer Brian Irvine. It is these qualities she brings now to the Edinburgh Fringe. When she talks about social engagement with a city, about open access for the performers, about freedom of expression, these are not platitudes or empty buzzwords, but concepts that have a hard-earned edge to them. At which point, it is worth looking back to her early statements of intent, of what someone who has “the luxury of coming into something that isn’t broken” can bring to the fringe. What that luxury does give her, she says, is the ability to bring some perspective and find places where she can add value. • Never ever let anyone undermine what you do. Public engagement, participation and enjoyment of the arts is not peripheral, it’s not a luxury; it’s vital, central, human. • Always make time to see work, spend time with the artists, see audience response, keep yourself inspired by the content, the art, the ideas. • Be ambitious, reinvent and do new things – but know when it’s time to let go, move on, hand over to new thinkers. • Never ask for a grant or subsidy: ask for investment for which there is always a return, either culturally, socially, economically or educationally. Her first agenda point is to use the fringe’s 70th anniversary leading up to 2017 as a year of interrogation to go back to that open-access principle, and really examine it. “How open-access are we?” she asks. “Who is it open and accessible to? Is it open and accessible to everybody – or are there still barriers? If there are, who are they affecting and what might we, as the Fringe Society, do to either minimise or adjust the barriers? Where she is already beginning to make a mark on this part of her agenda is in the Fringe Central events programme. The only part of the festival that the Fringe Society does curate – its programme of events, workshops and talks for visiting artists – is larger and more diverse than ever before, and beginning to look at how people might overcome barriers. Then, as the episodes of her career with City of Culture organisations show, there is enormous value to be had from her interest in cities, on how the cultural production and the cultural life of cities enhances the lives of the people who live there. While Edinburgh is hardly divided in the same way that Derry is, it is certainly a live issue for the Scottish capital. 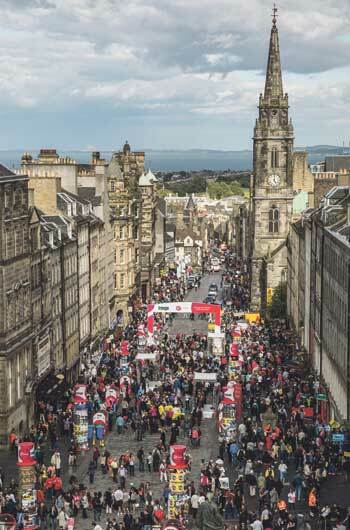 Notably in the way that some parts of Edinburgh immerse themselves totally in the fringe, yet to others it continues to be an almost noxious irrelevance. 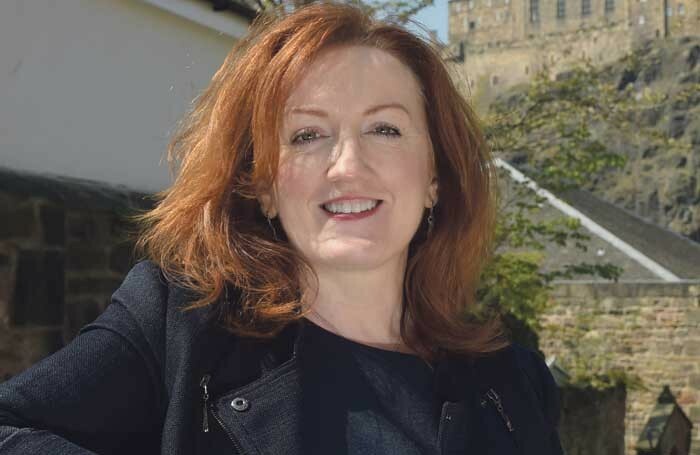 Then, given her decade spent running Cinemagic, there is the issue of creative learning and how the fringe might, or might not, be able to work with the education sector. These, still, are issues for the future, ones that she can tackle over her tenure as the custodian of the fringe. But she is happy to admit that it has current challenges as a festival that actively seeks to attract international performers from every quarter, yet exists in a world that is increasingly divided. In the first year of the lead-up year to the City of Culture project, in 2011, twice we had pipe bombs put outside our offices by people on the extreme republican end of nationalism. They objected so much to the UK City of Culture title. I didn’t. I went out and said: ‘If you have something to say, if you have an objection to any of this and you feel this doesn’t represent your cultural identity, use this year as a platform. But use it as a platform through dialogue or some sort of means that is not going to hurt another person, to have the open conversation about your cultural identity and how you think it is eroded or how you think it is being misrepresented, but use this platform to do that. Nobody is excluded from this process.’ And that is how I feel, that is exactly how I feel about the fringe. In 2014, there was a serious issue of censorship, as demonstrators forced a company part-funded by the Israeli government to close its show, a hip hop musical called The City. On that matter, McCarthy is solidly unequivocal: “You will not be surprised that, coming from where I am coming from, I don’t believe in censorship. I absolutely believe in freedom of expression – as long as that expression comes through the prism or the form of art. “You will never get me saying ‘shut it down, close it down, get that off the stage’. But with all of that, I would also say that people should come to things with a sense of responsibility, too. To deliberately create a piece of work that is designed to hurt, offend or be racist or anything like that, I think people have to come at things with a sense of responsibility. While issues of public disorder can take protest out of her control, you feel that, in McCarthy, the fringe has someone who will never be afraid to stand up for both the right to perform and the right to protest. And someone with the tenacity to keep on going until both rights are allowed to exist, side by side. Dear West End Producer: What’s the best way to forge an acting career after graduating with a science degree?